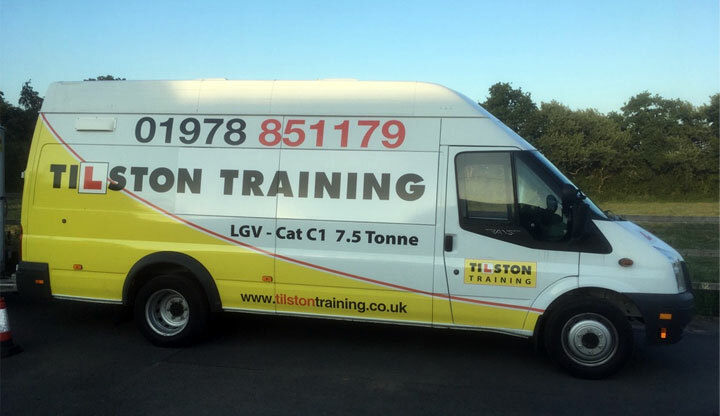 Tilston Training offer category C1 7.5 tonne training courses and tests to add the C1 entitlement to your driving licence for drivers who passed their driving test after January 1st 1997. 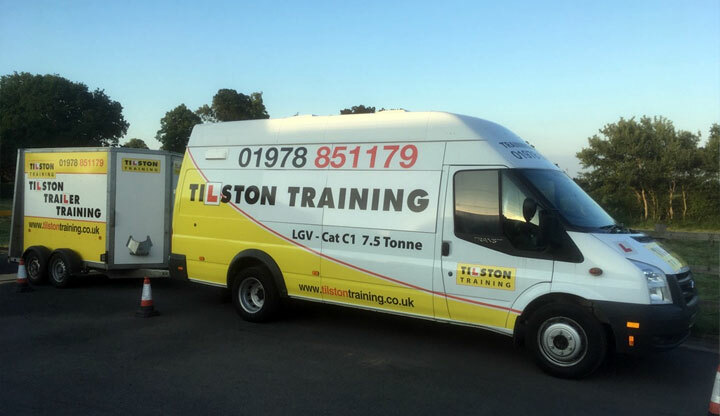 We also offer training for C1 7.5 tonne and trailer towing category C1 + E. We also offer courses for people who passed their test prior to 1997 but who have the 107 restriction on their C1 +E licence which restricts them to a GTW of 8.250kgs. We have our very own DVSA approved customer test centre so you can sit your C1 7.5 tonne test in the very familiar area where you have been trained as the Examiner comes out to our training facility to conduct the test. This takes a lot of the stress away and makes it feel far less test like giving us fantastic first time pass results. We have years of experience in getting people through their various driving tests, so you can rely on us to get you through your C1 7.5 tonne test quickly and at a high standard. We really do pride ourselves on our exceptional pass rates and the fact that we do endeavour to get you through successfully within the shortest time scale possible, saving you money on the course and also on time from work. Our instructors are friendly, patient and very reliable. All training is overseen by DVSA approved Instructors who are trained to the highest standard and are all fully qualified, CRB checked and registered Advanced Driving Instructors. In addition, they have years of experience in teaching people to driver larger vehicles and also to tow trailers and caravans behind them. We provide the C1 7.5 tonne lessons across Wrexham, Mold, Deeside, Cheshire, Shropshire, Flint, Holywell, Denbigh and the surrounding areas.